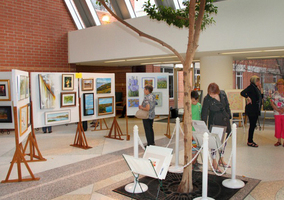 Annual Fall Show & Sale featuring dozens of artworks by the members of the Prairie Artists Guild. This event is a fundraiser for the Wascana Rehabilitation Centre, 2180 - 23rd Avenue, in Regina. Learn more at the Prairie Artists Guild website.